It was the story that made me fall in love with classic literature. 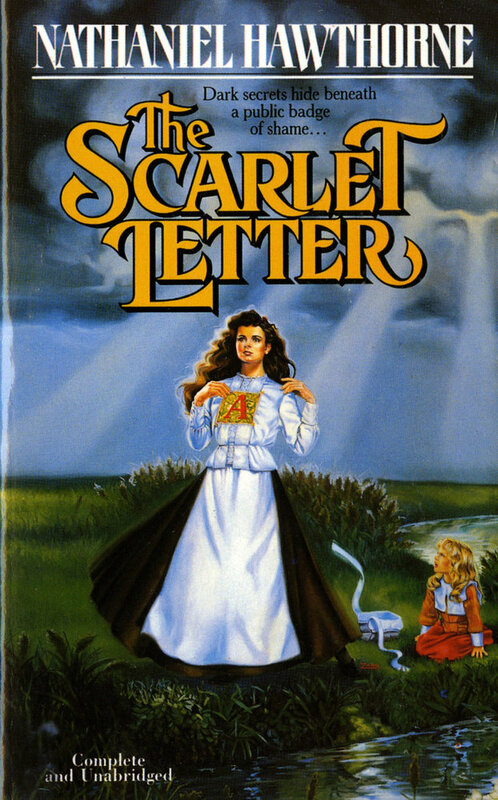 If you want to get picky, Shakespeare is really the literary works that made me fall in love with classic literature but since his style is different … The Scarlet Letter is the first classic novel I read and made me appreciate the value classic literature provides for the mind. Plot: For those of you haven’t read it yet. You should. But back to the plot. First published in 1850, in America, The Scarlet Letter is about this woman who is found guilty of adultery. Her punishment is to be branded with an “A” on her clothing and to also be subjected to public humiliation by standing on a scaffold for three hours. She is also pressed to give up the name of her lover, but she refuses to give up the name of her lover. This sets off a series of events that takes place over a span of years and *SPOILER ALERT** ends in sadness for all parties involved. **END SPOILER ALERT**. This rose-bush, by a strange chance, has been kept alive in history; but whether it had merely survived out of the stern old wilderness, so long after the fall of the gigantic pines and oaks that originally overshadowed it,–or whether, as there is fair authority for believing, it had sprung up under the footsteps of the sainted Ann Hutchinson, as she entered the prison-door,–we shall not take upon us to determine. Finding it so directly on the threshold of our narrative, which is now about to issue from that inauspiciousportal, we could hardly do otherwise than pluck one of its flowers and present it to the reader. It may serve, let us hope, to symbolize some sweet moral blossom, that may be found along the track, or relieve the darkening close of a tale of human frailty and sorrow. I distinctly remember pausing in my reading to ponder that passage. I remember thinking to myself how odd it was that the author would take great pains to describe the town and the prison and yet focus so keenly on this rose. I couldn’t help but see it as a foreshadow of some sort and took it to mean that he was setting the tone in which the story will unfold. I remember feeling both intrigued and uneasy because I just couldn’t shake the feeling that this story won’t end in a happily ever after. In fact, I think I stopped reading a couple of chapters from the end because I couldn’t take it. I know! But did skim ahead because as much as I couldn’t bring myself to read it all the way through, I wanted to see what happened to our cast of characters and, at the time, I felt it was a sin to not finish reading book. And I chose this book for a high school book report my sophomore year. It was to draw a movie poster of the book you’re reading and I’m not an artist so I didn’t finish it (that and I was also a procrastinator so I didn’t really start drawing my poster until the morning it was due) but I did draw out what I wanted. I drew the prison house and the rose bush. My idea was to highlight the rose bush somehow. This book opened my mind to the possibility of reading other classical works and I am forever grateful that this Nathaniel decided to right a book, and that his parents decided to name him Nathaniel. 1. Nathaniel Hawthorne, The Scarlet Letter, (Eldritch Press, 1999) Accessed January 21, 2016, http://www.eldritchpress.org/nh/sl01.html. Enjoyed your thoughts on this classic! How many movie versions of this book have you watched, and which if any did you like? Great question! Regrettably, I haven’t watched any. Can you believe that? Have you watched any? Easy A is my favorite and it is the most modern version as well as the most loosely based version. It is a bit like Steve Martin’s Roxanne : Cireno DeBergearc. I’ve seen the Demi Moore version, but not the original movie version. I didn’t even think about modern day renditions. I *love* Easy A! That’s a good one. Everyone comments on the Demi Moore version, but I haven’t seen it either.